Etihad Airways, the national airline of the United Arab Emirates, is set to transform in-flight entertainment options with the introduction of eight live television channels which will broadcast live news and sport. 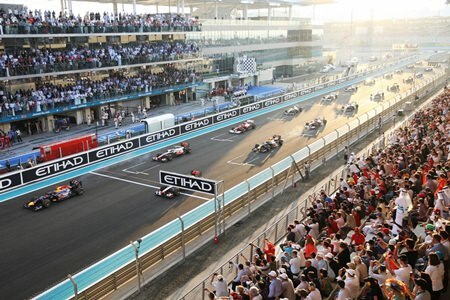 The highlight of the sports coverage are the final two races of the Formula 1 season with the Formula 1 US Grand Prix on Sunday, November 17, and the Brazil Grand Prix on Sunday, November 24. All eight news and sport channels will be available on 21 Etihad Airways wide body aircraft by November 7, which will increase to 37 wide body aircraft by the end of 2014.